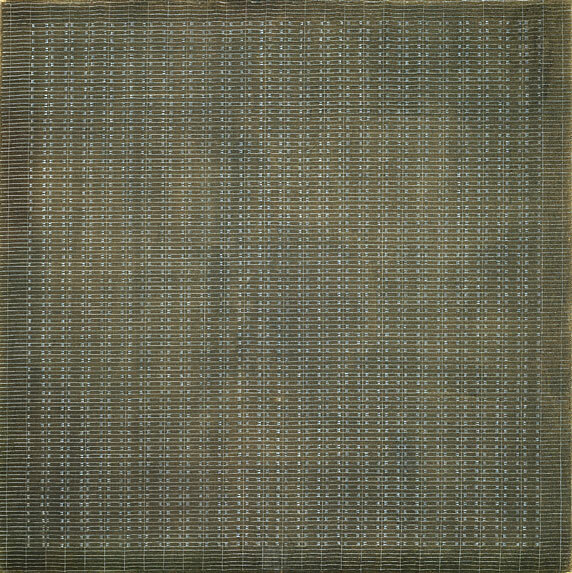 Agnes Martin (March 22, 1912 – December 16, 2004) was a Canadian-American painter, often referred to as a minimalist; Martin considered herself an abstract expressionist. "I think everybody is born to do a certain thing. And they ought to study themselves, find out what they like and what they don’t like and everything, and try to find out exactly what they’re supposed to do. Everybody’s rushing so much in this life they don’t take time to really look and find out what their response is, even to their own work." 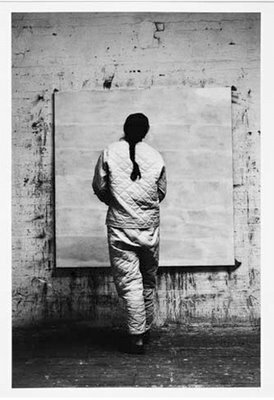 "Artwork is a representation of our devotion to life," Agnes Martin once wrote. "The enormous pitfall is devotion to oneself instead of to life. All works that are self-devoted are absolutely ineffective." "When I decided to paint, I knew I didn’t want to paint about this world, & nature. I wanted to paint abstract. The most obvious abstract emotion is happiness. So I paint a lot of paintings about happiness. I paint about happiness, innocence, & beauty: the feelings that we have that go beyond the world, that have no worldly cause"
"All my work is above the line. I don’t paint anything depressing (laughs.) To live above the line, you have to think ‘I want to be good. I want to be good every minute.’ And you only pay attention to things that you like, you know. When you go to the museum, you just look at the paintings you like. You don’t look at the ones you don’t like, stop & criticize, and all that." "Any material may be used but the theme is the same and the response is the same for all artwork... we all have the same concern, but the artist must know exactly what the experience is. He must pursue the truth relentlessly." "Well, sometimes I paint about tranquility. I have a lot of paintings about tranquility. It doesn’t matter where you are – if you bring your mind to a stop you’ll feel a light, delicate happiness. That’s tranquility. You’ve stopped." "Happiness is being on the beam with life - to feel the pull of life." "Beauty and happiness and life are all the same and they are pervasive, unattached and abstract and they are our only concern. They are immeasurable, completely lacking in substance. They are perfect and sublime. This is the subject matter of art."